Woooo Whoo! We get pretty excited around here when people of great taste, like you, want to learn more about us & our pretty petals. 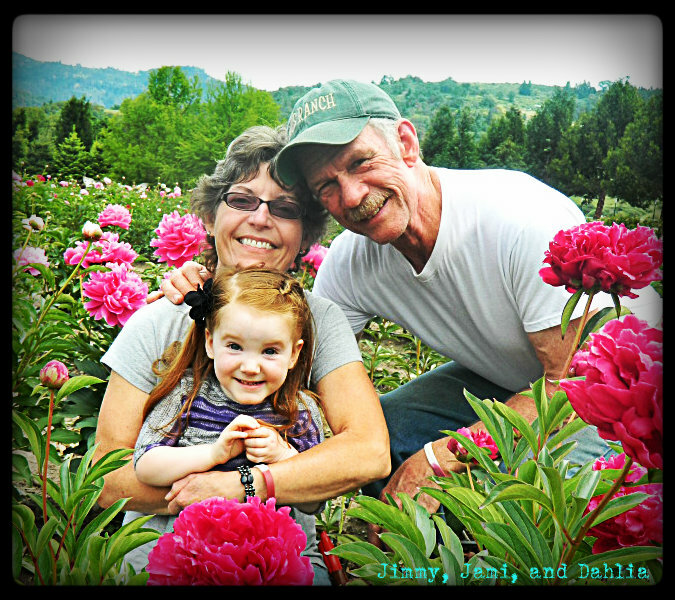 Flyboy Naturals is 3 generation family owned & operated Eco-friendly flower farm. 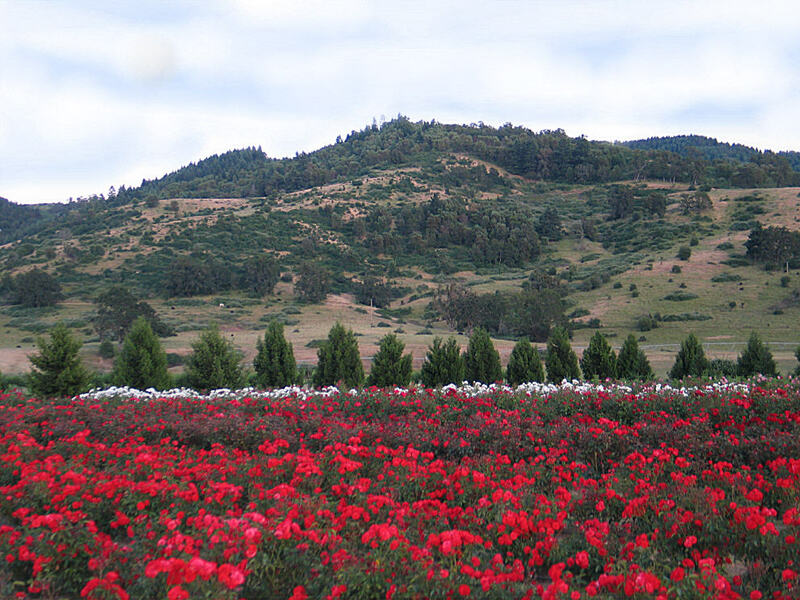 Our sweet farm is nestled in gorgeous fertile valley known as Rainbow Valley in South Western Oregon. Our farm is surrounded by gorgeous verdant hills, spacious pastures & lush vineyards and a gorgeous river called the South Umpqua. It's a slice of heaven on earth for sure...ideal for growing endless rows of fragrant blooms! Bet you would never guess we are crazy about flowers. We provide swoon worthy rose petal options especially for anyone that is mindful of the environment & their wedding venue setting. We are extremely proud to be the World's largest producer of exceptional quality Eco-friendly, freeze dried petals. They are grown, carefully harvested by hand (no robots used here, lol) and preserved thru freeze-drying...Then we package them oh so gently & ship direct to you from our family farm in Oregon, USA! Our stunning real flower petals are the perfect option for a Green Wedding & every special event. We offer over 100 colors of absolutely beautiful, non-staining, not slippery & bio-degradable rose, hydrangea, peony & lilac petals. 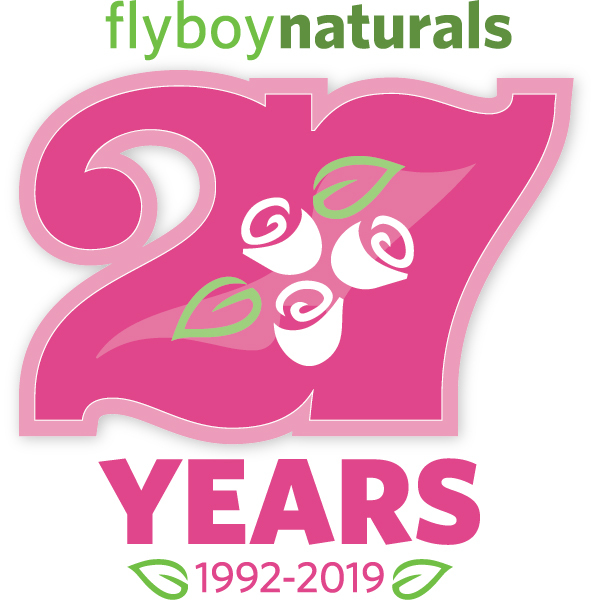 One of the most important things we can share with you about us is... Flyboy Naturals does not use chemicals or dyes on our flowers. We grow them 100% naturally and specifically to make petals…they are not a bi-product. Our petals have terrific longevity... when stored properly they can last for many months or more. 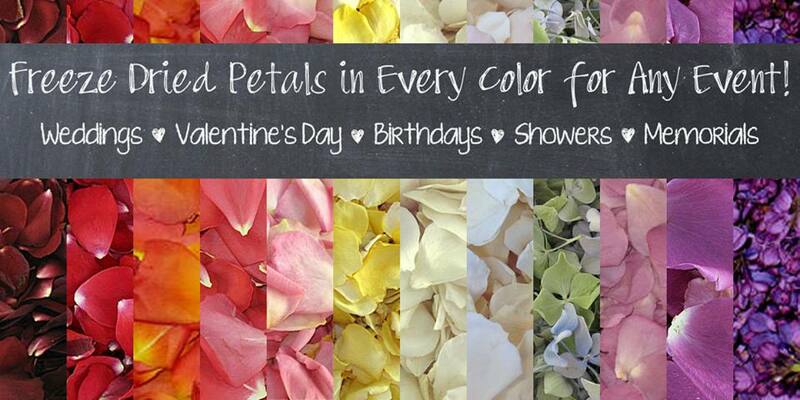 Simply store your petals in a cool, dry and dark space until you are ready to use. Our real, freeze-dried, Eco-friendly petals are perfect for decorating your reception tables, sweetheart and cake tables, for creating or embellishing your wedding aisle, a perfect send off for your guests to toss after you say I DO! The photo below showcases one of our smaller teardrop shaped rose petals, a winter white called Iceberg. 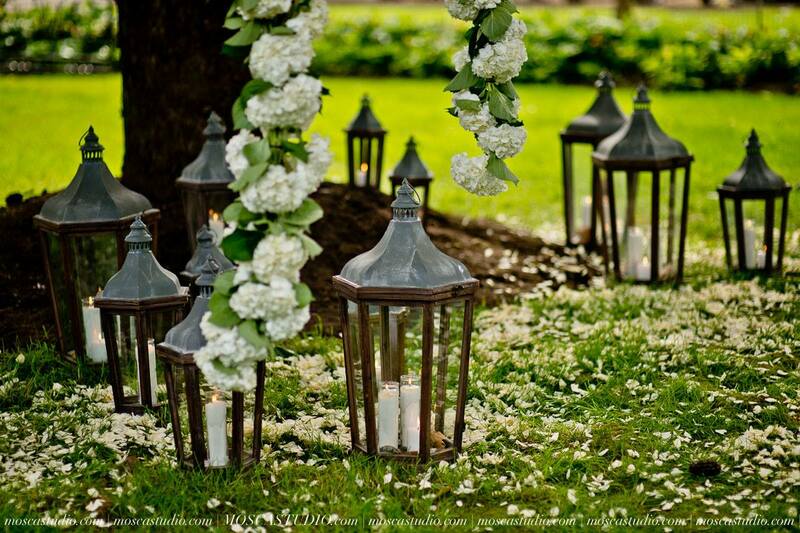 We love the way they look on the grass with the lanterns and hydrangeas. This oh so romantic design was created by Andrew Calvert of The Perfect Occasion! Flyboy Naturals petals are the preferred choice of thousands, millions, billions of brides & grooms, romantics, venues, florists, hotels and spas, historical venues, photographers and event specialists...Okay, maybe not Billions. Our pretty petals are non staining, not slippery. Super duper quick and easy to use, convenient and will instantly transforming any space. HOW GREAT IS THAT? For real! Our real petals do not need be refrigerated...you know what that means right? It means there is no need to stress over ordering your petals at the last minute. Go ahead...pick out what you love & place your order....check it off your looooooong list of things to do! We love to do custom orders…so; if you don’t see exactly what you have been dreaming of give us a call and we will do our best to make your petal dreams a reality! Shipping Worldwide since 1992. We are excited to be celebrating 27 years. Providing excellent quality, swoon worthy petals and Award winning personalized customer service. Time flies when you are having fun...we are all about the fun! 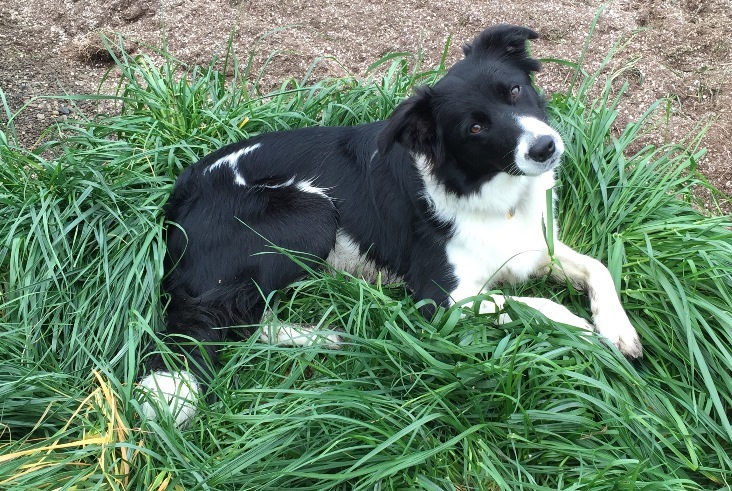 We have an awesome crew that helps with harvesting the flowers & carefully removing each petal during processing...Along with our our high energy doggies border collie Sadie Tsu & the newest member of our family sweet Luna girlie. Let's not forget our kitties, the Mama, Muggsie, Lucky, Kowalie, Nellie...rounding out our menagerie is Matilda our lone chicken...she can never get enough of the bugs in the gardens. It's a full time gig & she loves it. She is the happiest chicken ever! This is our sweet Sadie Tsu, 8 lbs of love wrapped in fur! 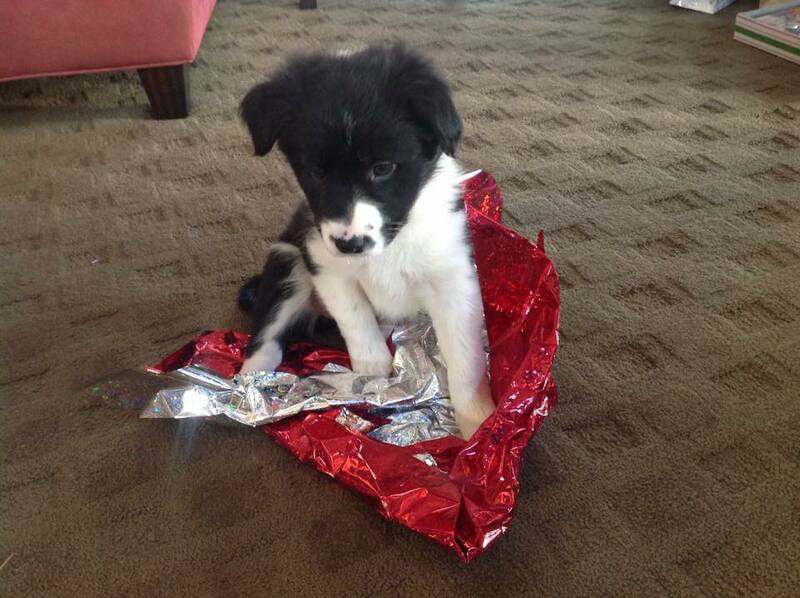 She was a special Christmas Eve gift in 2014. Hard to believe Sadie is already 3 years old...and oh boy does she have energy to spare! We are amazed to say we are already celebrating 27 years as the world's leading provider of premium Eco-friendly freeze dried rose petals. It's hard to believe that much time has passed. The old saying is true, time flies when you are having fun…doing something you love and are passionate about! Our farm is nestled in a beautiful area of the Pacific Northwest known as Rainbow Valley ( just love that) and sits on the mighty South Umpqua River. The area is also known as the "100 Valleys of the Umpqua" in Oregon. Our farm is surrounded by rolling hills, vineyards, this stunning river, cattle & a herd of elk, when they feel like making an appearance. Life on our farm is full of interesting things...in addition to the flower fields, gardens & greenhouses we have a family of screech owls. They decided to nest in one of the larger trees right next to the home our son Joey our daughter-in-law Megan and our grand kids Dahlia, Isaac & Verah live. We have many birds singing every morning. They welcome the day as we make our short 500 foot commute from our home to work. We see mourning doves, finches, robins; sometimes along the river we see bald eagles, osprey, lots of geese and ducks. Okay, back to what we do here. 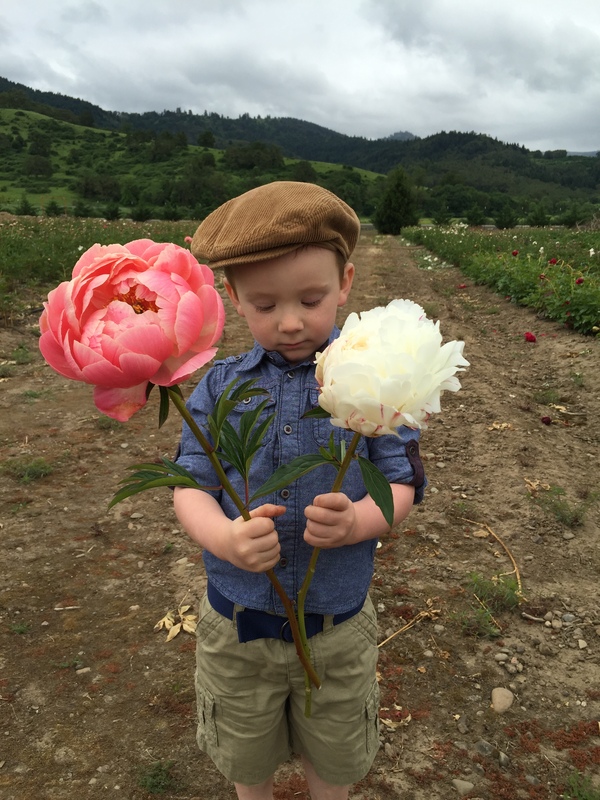 We specialize in eco-friendly, freeze dried petals for weddings & special events…offering over 100 colors of absolutely beautiful, bio-degradable rose, hydrangea, peony & lilac petals. We are passionate about bringing Mother Nature’s beauty to the world with our flowers and rose petals. What could be better than that? 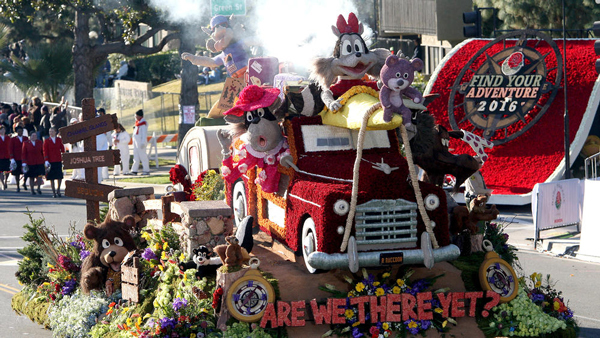 2018 is going to be a fabulous year...starting with our petals being used again this year in the Rose Parade on the Burbank Float January 1st appearing major networks & our fave HGTV! We are preparing our flower fields, pruning & just getting ready to plant several hundred new rose bushes...all the better to serve our very special customers! Flyboy Naturals rose petals are the preferred choice of brides, venues, florists, photographers, event specialists, hotels & spas. They are affordable, beautiful, non staining, not slippery, quick & easy, convenient and create a compelling visual display…instantly transforming a space! 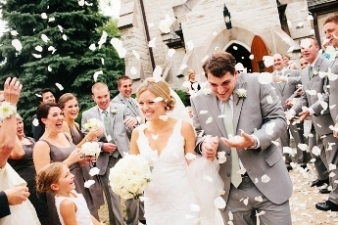 Family & friends have a blast tossing petals at the guests of honor. 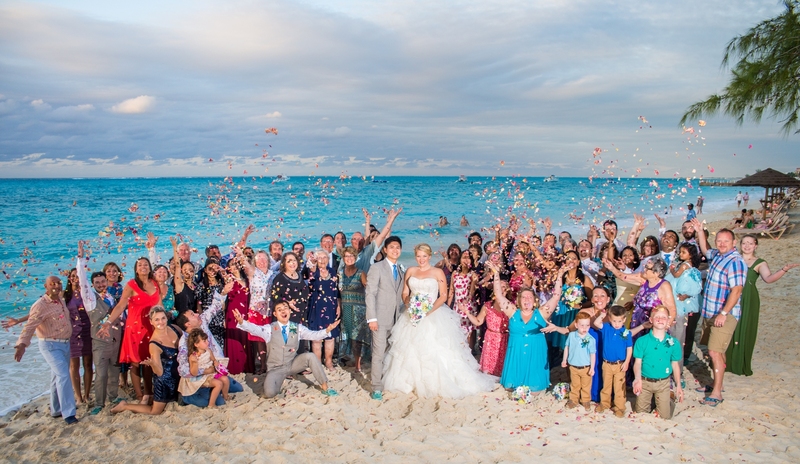 Plus the petals create a powerful visual image for photos and special memories for everyone to share! It is our goal is to make our service & your experience exceptional. 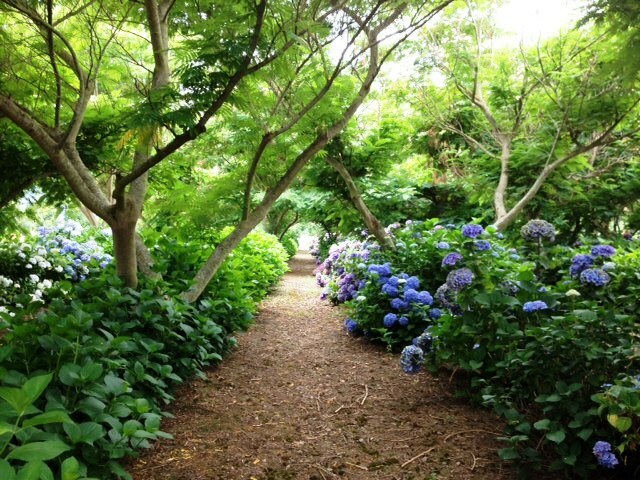 We have row after row of flowers...thousands of rose bushes, 6,000 peony blushes and who know how many thousands of hydrangea bushes on the property in the fields. Peony Season 2018 will be gearing up soon....sweet Dahlia is sniffing all the goodness of the first bouquet of the year! 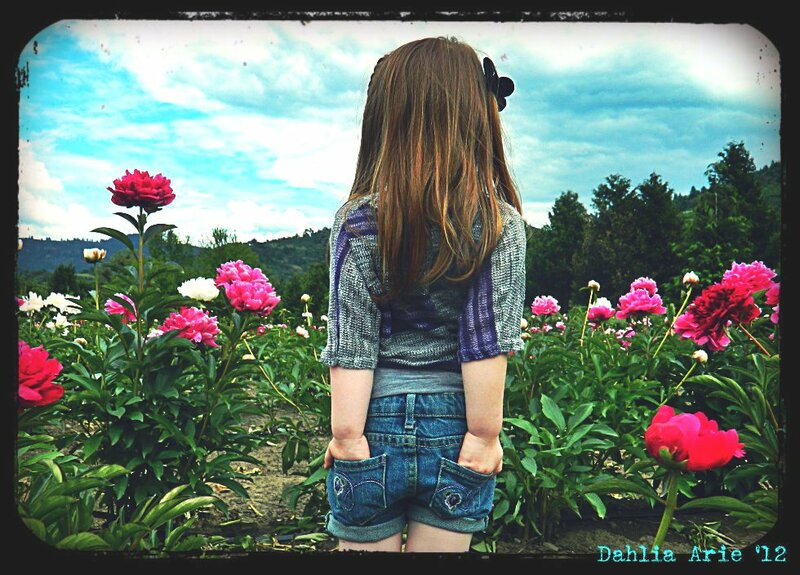 Dahlia checking out our peony fields when she was a tiny girl...this is her younger brother Isaac inspecting the stems. We call him Bub! 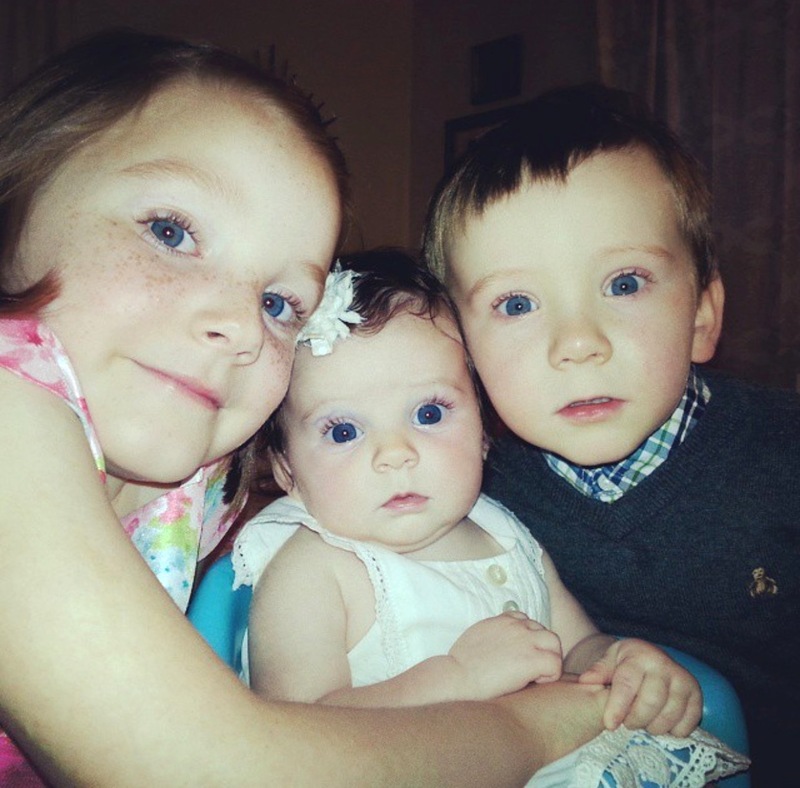 Three of our favorite flower inspectors...Dahlia, Verah & Isaac! 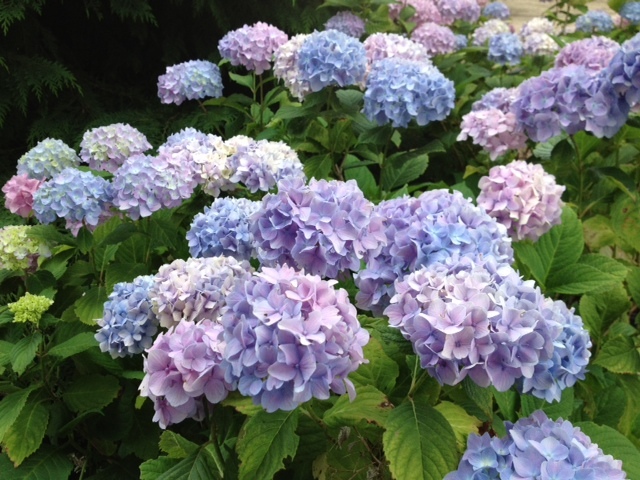 Many types of hydrangeas, thousands of bushes are grown under the canopy of mimosa trees...providing natural shade and beauty to our property. 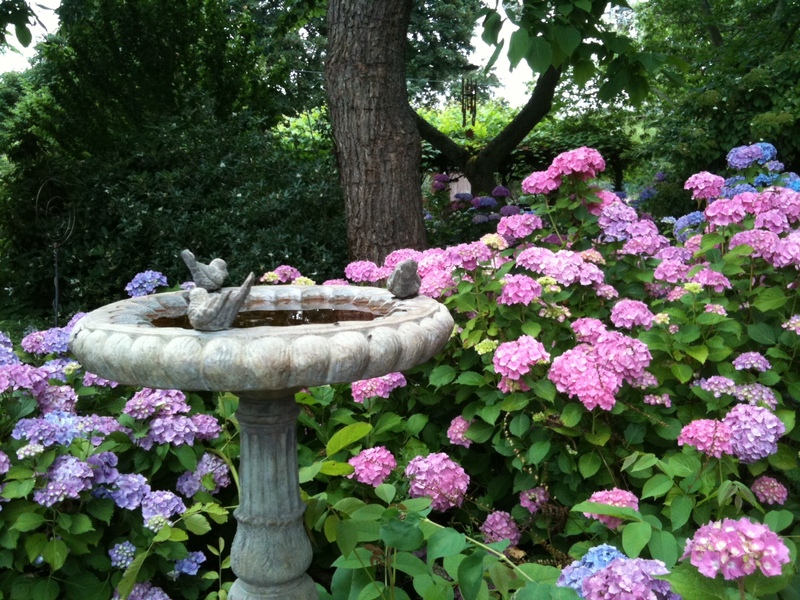 Along with many winding paths thru the personal gardens which are filled with many types of flowers...mainly because we love them...tucked in you will find many sculptures created by the resident artist Jami and some of her good friends. Everyday we say "another beautiful day in paradise" it is a very special space. We are grateful to experience it everyday. 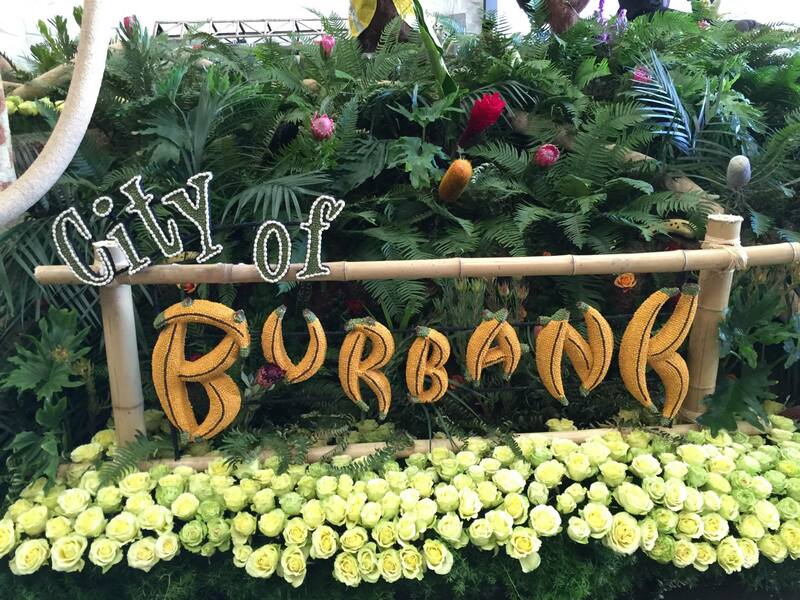 2018 will start off with the Rose Parade & the City of Burbank using our petals. 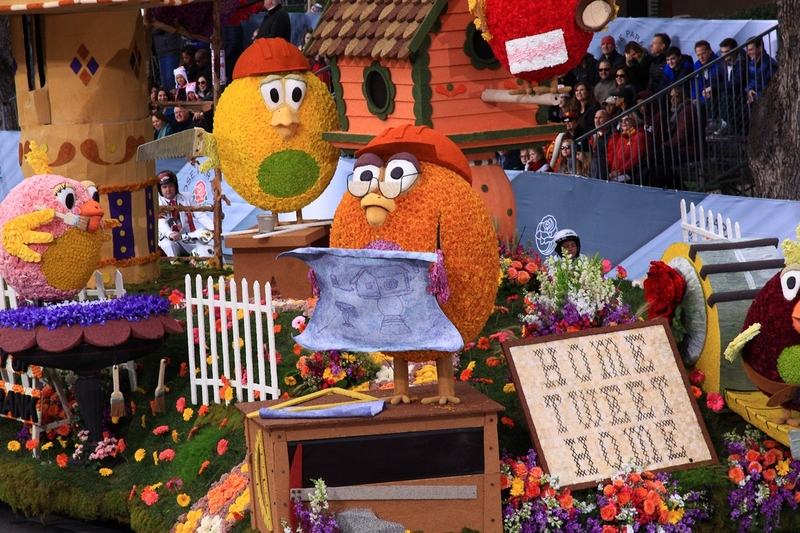 We love this annual tradition! 2016 started off with what is becoming a tradition around here! 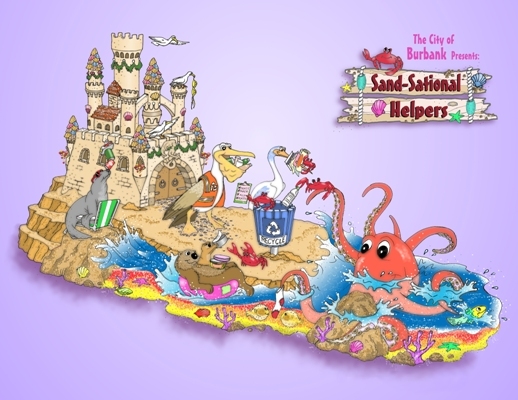 Our rose petals were used again in the Rose Parade by the City of Burbank...we are very grateful! 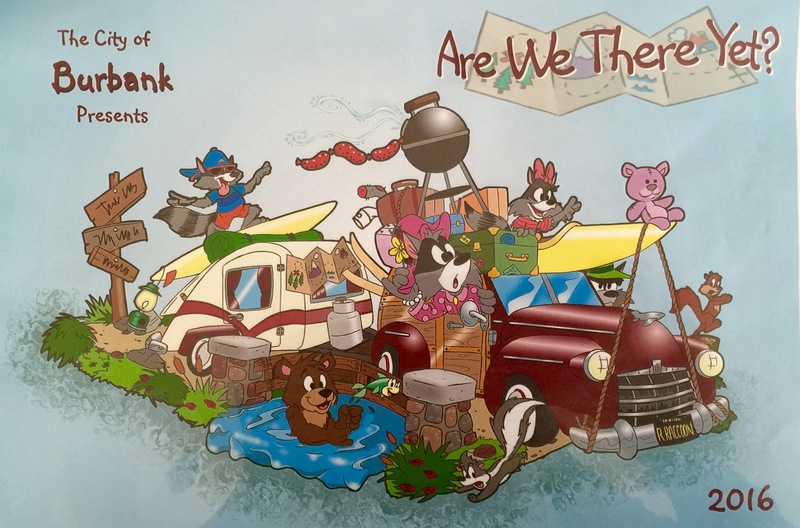 Here is a sneak peek...it is called "Are We There Yet?" We think it is adorable...how about you? 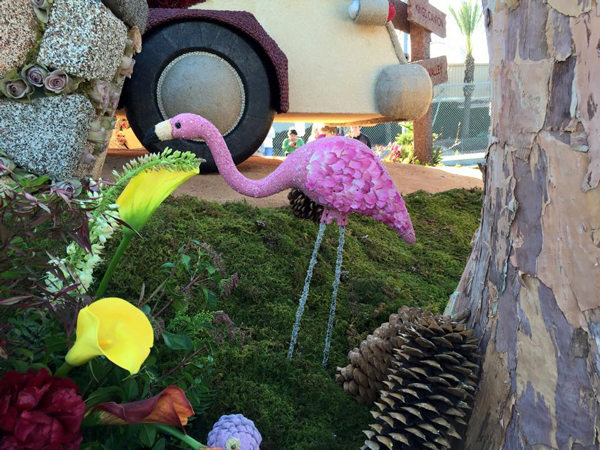 We love how our Simplicity Bright Pink Rose Petals look as the feathers on this pretty pink Flamingo! 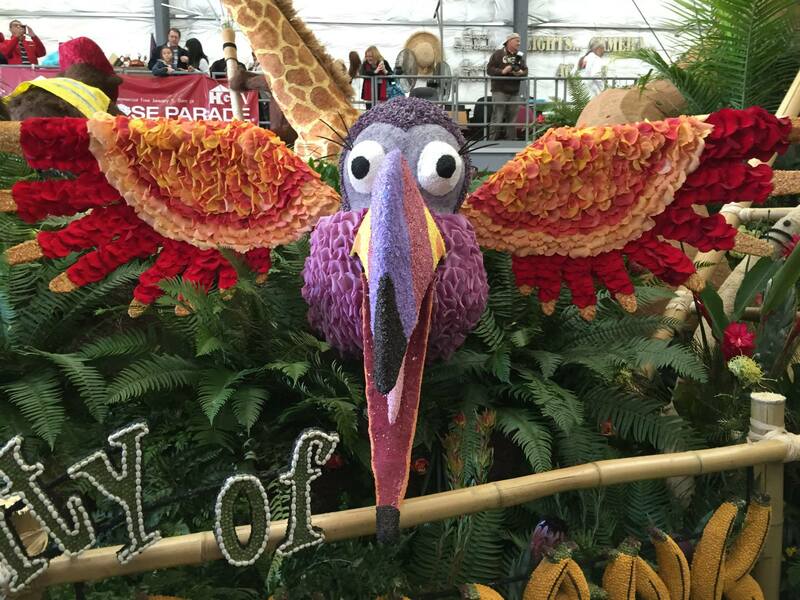 2015 started off with hundreds of thousands of Flyboy Naturals Rose Petals being used in the Rose Parade on the Award Winning Float "Jungle Rescue" We are very proud to have the city of Burbank choose our petals in the creation of this awesome float. 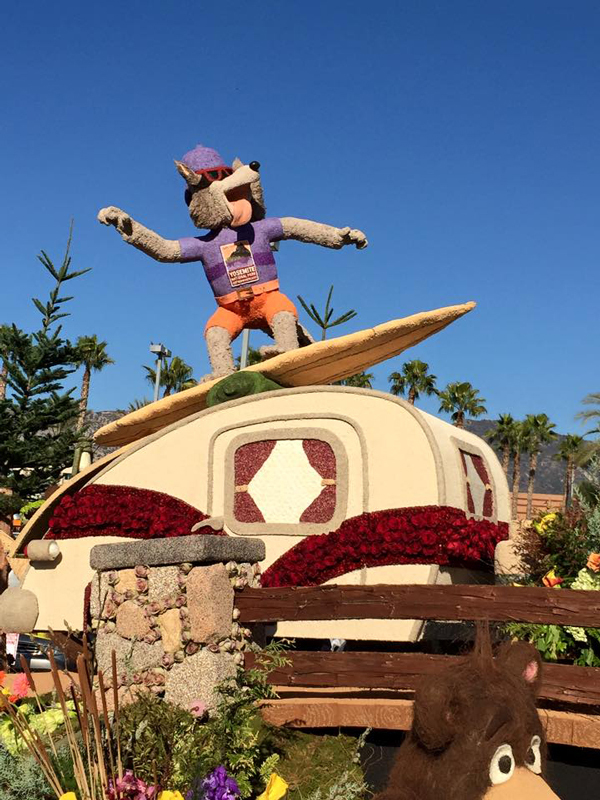 Here's a close up from the float...pretty fun right? 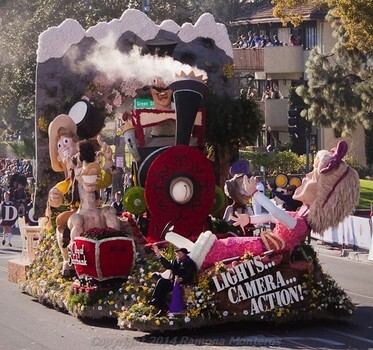 In 2014 Flyboy Naturals Rose Petals were used in the Rose Parade on the Burbank float "Lights, Camera, Action"
Flyboy Naturals has also supplied petals a number of production companies, movies, TV shows & commercials. Movies using Flyboy Naturals Petals include but not limited to | Red Riding Hood | Little Fockers | Memoirs of a Geisha - Park Scene with Cherry Blossoms | Legally Blonde - The Wedding Scenes | The Ugly Truth | Mona Lisa Smile | In The Cut | TV show - Who's Wedding Is It Anyway? What else is new and exciting around here? 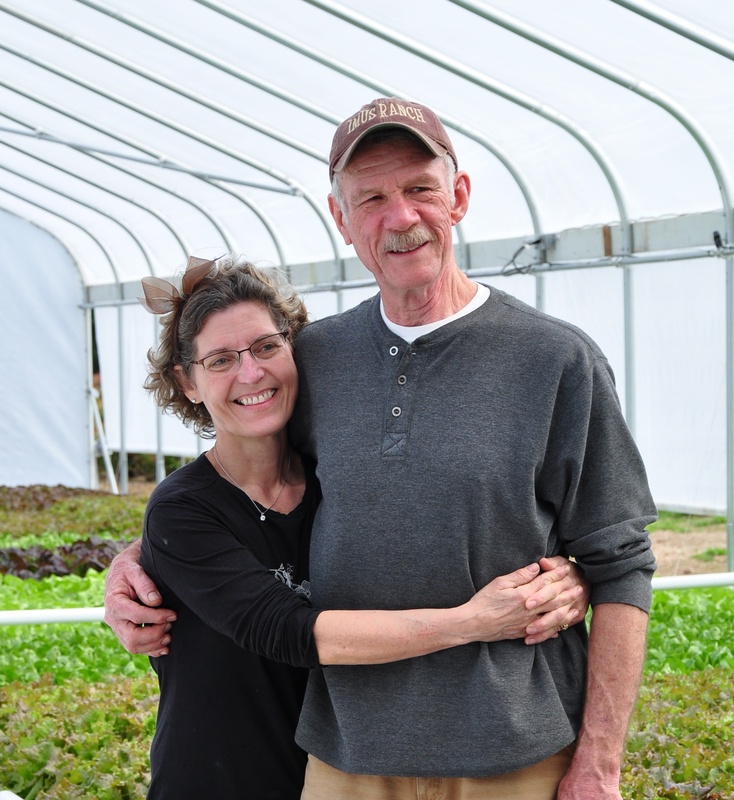 Jim & Jami in one of our greenhouses. We both really love growing the flowers on our farm for you to enjoy! 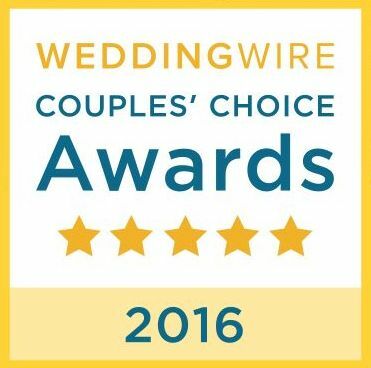 We are honored to have received the WeddingWire Couples' Choice Award for 2016, 2017 & 2018! This award is given to businesses that demonstrate excellence in quality, outstanding service, responsiveness and professionalism. In previous years it was known as Brides Choice Award. We are grateful to all our customers...we thank you for your continued support & loyalty! We love it when we have photos sent in so we can see how our petals have been used...that's the most fun! Referrals are pretty great also! We process & ship most orders within 24 hours. Orders ship FED EX GROUND unless you select to upgrade 3 day, 2 day or overnight. Ground shipping takes 1-5 business days depending on where you located within the US. International shipping is via US POSTAL SERVICE. Most ship Global EMS. Travel time & rates vary depending on the country. Please call for details. We are happy to accept a return for replacement or refund within 7 business days. Please call for an RA# within 48 hours of delivery with any quality issue and email images of any product in question. A refund is applied to your credit card when the product is returned in resalable condition within 7 days. A 20% restocking charge applies to every returned order. No returns are accepted after event date. Shipping charges are not refunded.